The original Morbid Manor was the ultimate “haunted house” with live actors portraying ghosts, goblins and ghouls of all shapes and sizes. It even featured a plane crash on the third floor of the spooky building located on the Fishing Pier at Wicomico Street and the beach. 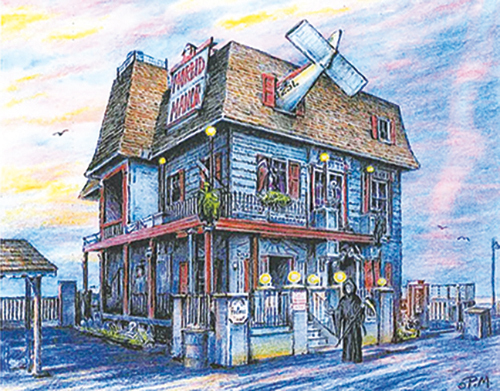 The screams of frightened visitors could be heard on the Boardwalk and across the Inlet Parking Lot in the summer as crowds made their way through the dimly lit structure. Morbid Manor was destroyed in a wind-driven fire on Nov. 7, 1995 but many still recall it as being the “scariest haunted house” they had ever seen. To purchase one of Bunk Mann’s books, click over to www.vanishingoc.com.